u-he is has released The Dark Zebra, a bank of 400+ Zebra2 presets created by Hollywood composer Hans Zimmer and synth sound designer Howard Scarr. The set includes hundreds of original patches used in the soundtracks for The Dark Knight as well as its new sequel, The Dark Knight Rises. 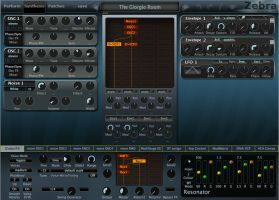 Diva filters – analogue models ported from u-he's other top synth. 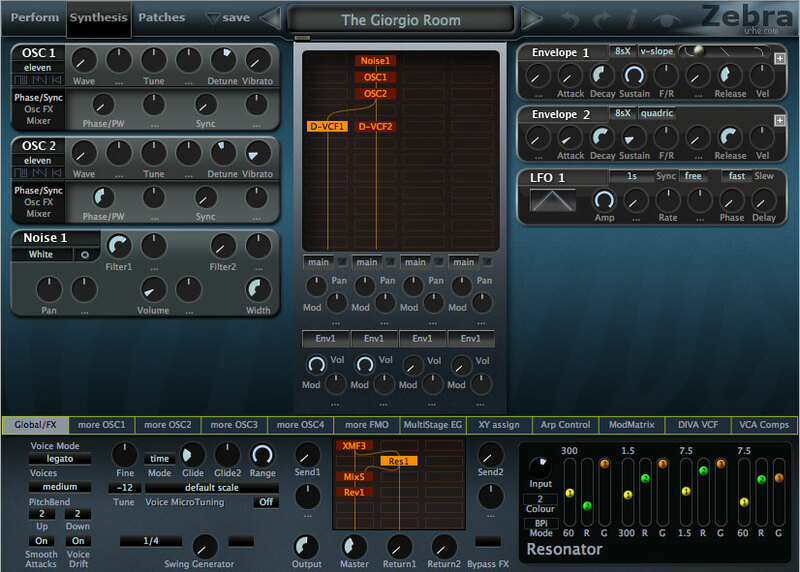 Four polyphonic compressors, one for each lane in the patching grid. A bold new GUI in blockbuster style. The price is $99 or €89 including VAT in the EU. ZebraHZ requires an existing license of Zebra2 to run.